Renowned for its booming music scene, the sun has recently set on another of Liverpool's creative ventures – this time in the form of the vibrant, Fiesta-inspired Fiesta Bombarda. Boasting an amalgam of the best local talent, this two day music festival was set to be a weekend to remember. And following on from its launch in 2012, this year certainly didn't disappoint. 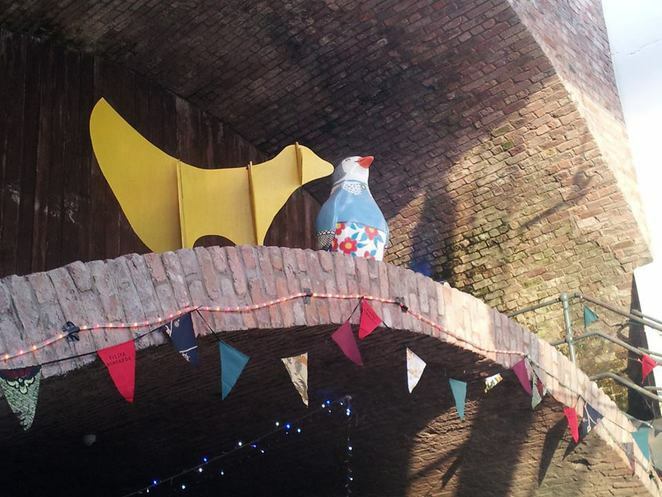 Festival goers were met with a healthy fusion of musical styles, reverberating through Liverpool's historic Williamson Tunnels. With a mixture of genres present including folk, psyche, funk and reggae, the line-up featured was enough to get anyone moving their feet. Atmospheric vibes echoed amongst the drip drop of the festively adorned tunnel ceilings inside, while facepainting, firepoy and fresh wood-fired pizza stalls greeted visitors outside. There was something to keep everyone happy, the festival itself proving a truly sensory experience. Night one was met with a succession of talent including the slick and superlative sounds of rock-meets-calypso band Jeremiah Ferrari to name but a few. Fast rising LIPA favourites Highfields were charming as ever, delighting crowds with tunes such as the infectious 'The Chase' and 'Waste of Space.' Their commendable stage presence and full, folksy sound resulted in a tight set, ensuring spirits were high while the bar was set for an impressive remainder of the weekend. As the second night drew to a close you could be mistaken for thinking you were delirious when witnessing closing band The Fire Beneath The Sea. A thirteen piece collective donning a range of masks and props, FBTS showcased a sound as bizarre and eclectic as their image would suggest. In conclusion, this animated blur of adorned northerners delivered a healthy dose of raucous revelry both on and around the stage – a feast for all the senses and a fitting finale to a truly high-spirited event. Until next time Festival Bombarda, we tip our sombreros to you!